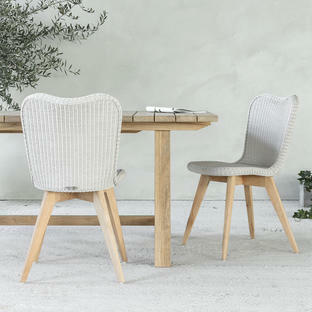 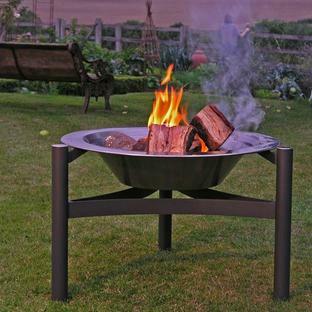 Keep warm and cosy on chill autumn evenings, or keep yourself cosy late into the night when alfresco dining. 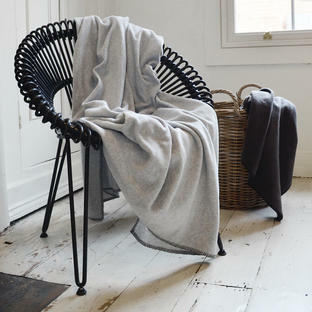 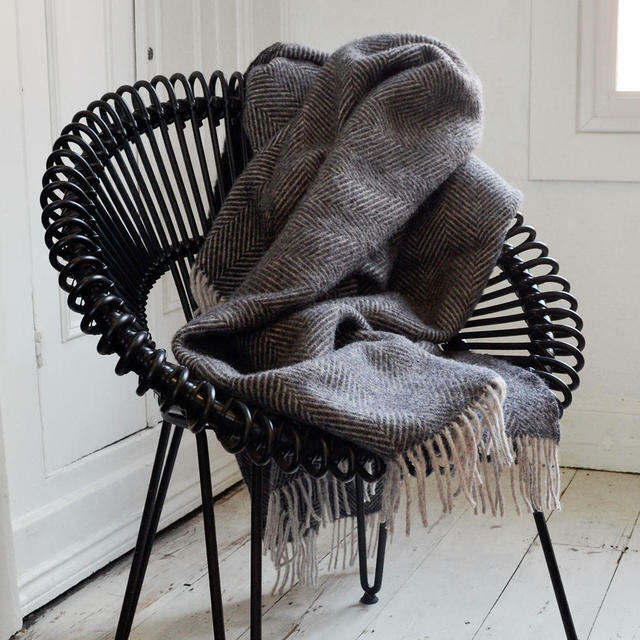 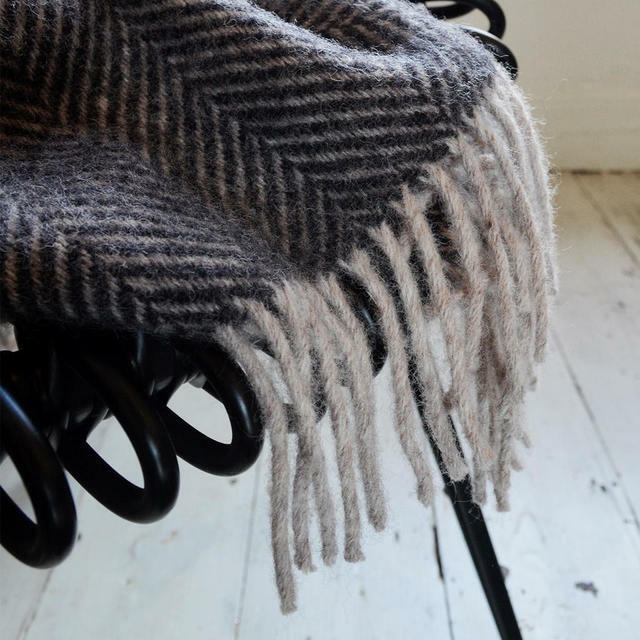 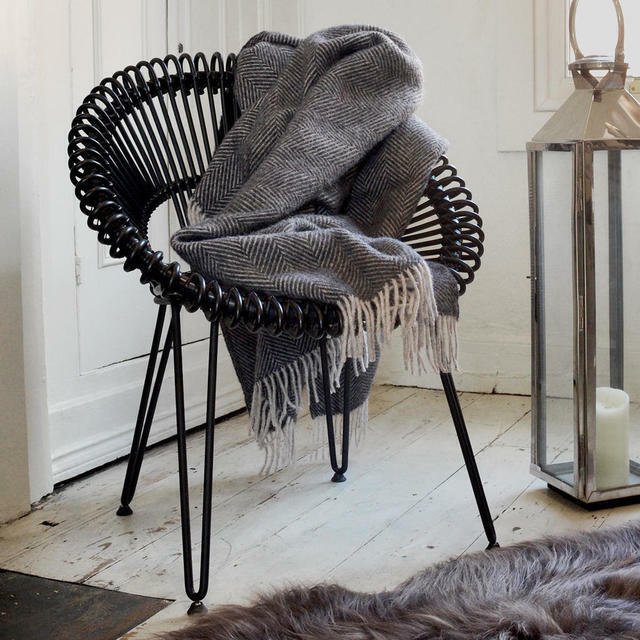 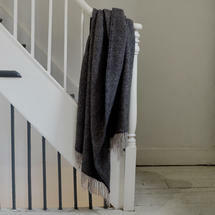 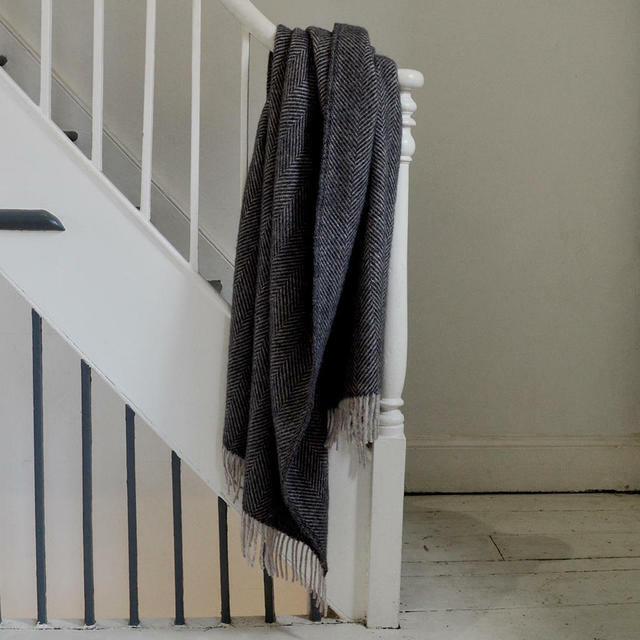 Have these soft and cosy 100% wool throws ready to hand for alfresco parties, when you want to snuggle round the fire pit, or just stay outdoors gazing at the evening stars as long as you can. Dark grey, with silver grey herringbone pattern, and silver grey wool fringe.